and was a Mission Pilot. and a Senior rating in Financial Management (I don't remember why I got that one, and there was some reason that I never got it to Master rating, but I don't remember what that reason was: maybe you had to have served as a squadron finance officer or something like that). 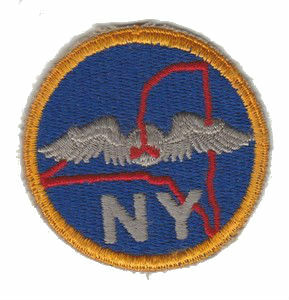 I originally joined a cadet squadron in New York Wing's Long Island Group, Nassau Six (31167) at the Freeport Armory. 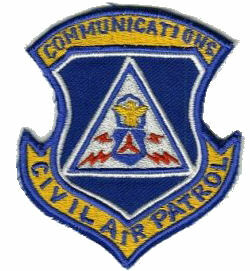 This was not long after the Suffolk County squadrons had been formed into a separate Suffolk Group, but each groups' squadrons kept the county designation in their names, and the remaining squadrons in Nassau County stayed with the the "Long Island Group" name. Long Island Group's plane's (along with various ones belonging to Northeast Region) were based at Zahns Airport, in Suffolk County, as the only extant land airport in Nassau County was the Grumman facility in Bethpage (oddly enough, I had occasion to fly into Bethpage). My final positions were in the New York Wing Headquarters Unit (31001): Standardization and Evaluation Officer, Assistant Communications Officer, and Wing Check Pilot (all concurrently). I made a lot of friends; we hung-out at Zahns Airport (AYZ) and at Wing Headquarters (starting when it was still called "Wing Supply": in Garden City behind Roosevelt Field Mall): it was a good time.